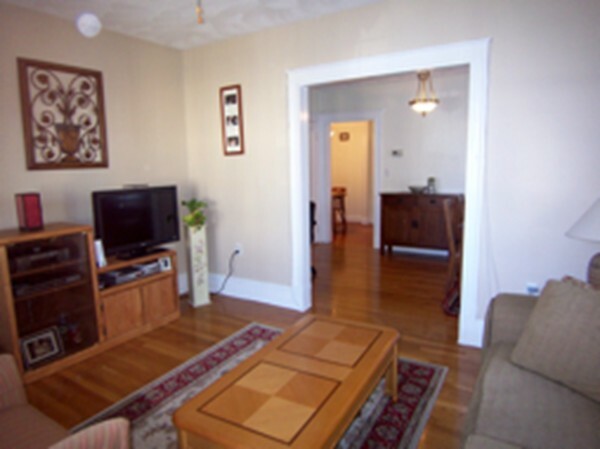 Spacious condo with gleaming hardwood floors throughout. Large living room opens to formal dining room with flexibility of den, office or other use. Bright, updated kitchen, newer appliances and bonus eat-in area. Ample bedroom, updated bathroom and replacement windows for heat efficiency. Basement storage and FREE washer/dryer (NOT coin operated). One car deeded plus street permit. Great location near Forest River Park and beach, Salem State University, downtown shops and restaurants & commuter train!